Staring down at the positive pregnancy test in her hands, Mariana felt torn. She had always dreamed of being a mom one day, once she had a good job and was married. But Mariana was young and just wasn’t ready to have a baby. She didn’t know if her boyfriend was father material, but she suspected he wouldn’t be there when she needed him. The idea of providing for herself and her baby on her own seemed impossible. Unsure of what to do or who to turn to, Mariana began researching online about her abortion options at 18 weeks. While searching, she came across the phone number for Pregnancy Decision Line (PDL). The coach took the time to listen to Mariana voice her fears. She explained the many options Mariana had available to her and shed light on the various ways a local pregnancy center could help Mariana prepare for motherhood. Her local center could provide a free ultrasound, parenting classes, and baby items such as clothes and diapers. The PDL coach understood that Mariana was struggling to find support for herself and her baby. She recognized Mariana’s very real fear, and sought to help her find connections in her community that could stand by her and her baby. Mariana was amazed that so many people she didn’t know would be willing to help her without expecting anything in return! While on the phone with the PDL coach, Mariana felt a change happening in her heart. She decided that she wanted to exhaust every available means of help. “I am going to invite my boyfriend to come to parenting classes with me,” she told the PDL coach. Mariana wasn’t sure if he would be interested, but it was worth a try. “Even if it means becoming a single mom, I want to have my baby,” Mariana said with hope in her voice. Pregnancy Decision Line is such an invaluable resource for Mariana and so many other women who feel they have nowhere else to turn. Talking to a qualified and compassionate coach gave Mariana the hope and help she needed to take the next step. Many women just like Mariana see abortion as their only option because they have no support from their families or their significant others. 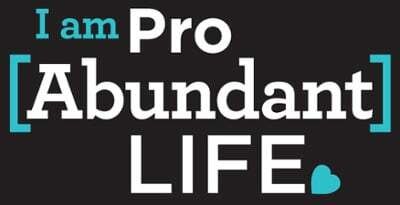 Thanks to your generous support of Pregnancy Decision Line, our 1,100 affiliated pregnancy centers, and our growing network of churches equipped with Making Life Disciples, those facing tough pregnancy decisions can be heard, helped, and offered the support they need to choose life.